I’m extremely excited to share this week’s interview with you! 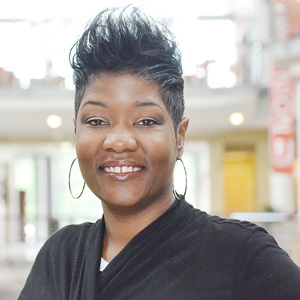 I had the chance to talk with Jacinda Walker, a design strategist in Columbus, OH. Jacinda is a tireless champion for diversity in all fields of the arts, especially design. We spoke about her graduate research on Black and Latino students, her unique take on diversity in the design community, and about our upcoming panel at WMC Fest 5! Jacinda’s dedication to lifelong learning is truly inspiring. Grab a cup of coffee, settle in, and enjoy this great conversation!